Are you one of the thousands of people in the world who are currently unemployed and looking? Searching for a job and how people go about doing it has drastically changed in the last ten years: If you’re not moving with the change, it’s working against you in the search for a new job or career. You might be looking for a new job in the same field, you might be looking for a promotion instead or you might instead be looking to switch careers entirely – no matter what it is you’re looking for, we’ve got some of the best advice for the modern job seeker you’ll find anywhere. Here’s how to rise above the rest in a wildly competitive market and find the job you’ve always been looking for. When a company decides that they’re looking for a new employee to fill a vacancy, the first thing that they do is advertise the vacant position so that applicants can send in their resume’s. It’s up to you to find where they’re advertising and submit your resume for consideration! Once the advertisement has been placed, the company – and usually the head of the Human Relations or Staffing department – will take note of all the resume’s received. These go into what’s generally known as the resume pile. Then, these resumes are taken to the person in charge of actually appointing the new employee to fill the vacancy. They filter through these by wants and don’t wants, needs and don’t needs: They’re looking for the employee who will best be able to represent their company and what they stand for, someone who deals well with customers and someone who has the experience they’re looking for. This is something they should be able to tell from your resume in less than four or five pages – more, and they might just end up tossing it back into the pile; less, and it might not showcase you and your experience effectively. Once the resume’s have been sorted through into two piles of yes-and-no answers, those who fall under yes are contacted to come for an interview – and then short-listed based on their performance during the actual job interview. How they appear, how they adapt to the environment they will be working in and how they conduct themselves overall – all of this tells the HR heads and the CEO how you will be representing their company. These who have been short-listed will then be called back one more time – and from there, the people in charge will choose who is most suited for the job. 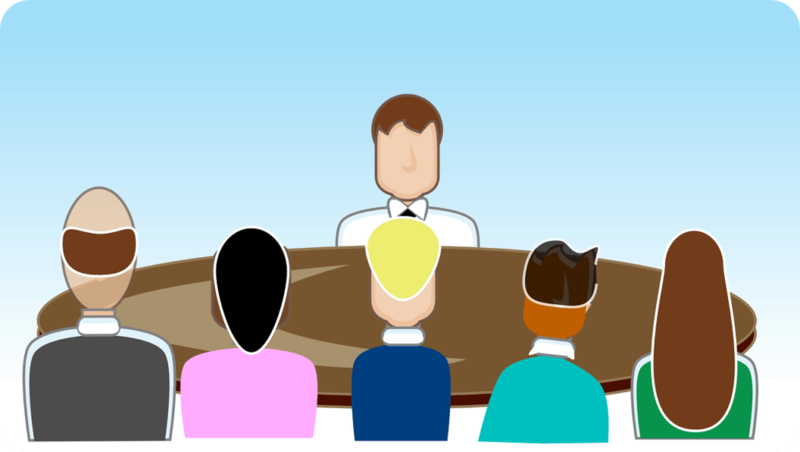 Understanding the interview process is crucial if you want your resume to follow it through from beginning to end! It’s fairly easy to start feeling the pangs of discouragement if you’ve uploaded your resume and sent it to potentially hundreds of interested parties with no response: Sometimes it can be blamed on the market, other times it could be said that your approach might just be responsible for the lack of response. If you aren’t getting the responses you had hoped for, take another look at how you are approaching your job search. Are you finding jobs to apply for through the right channels and applying before the deadline for the job appears? Is your resume in the condition it should be, or is it distracting from the information and message you’re trying to convey to your potential employer? If you’re getting called back for physical job interviews and then not getting a call-back after, it could be the way you present yourself in person: Often times people are likely to appear nervous on a first job interview, and for many it can be what gets the better of them. For nerves like these, tell yourself that your next job interview should be treated just like a conversation with another human being, albeit a professional one in nature: That most definitely takes the edge off the interview, and will lead to things going far more smoothly than you initially anticipated. We’ve already mentioned the importance of how you appear for your job interview, but it’s important enough to deserve a section all unto its own. First, there’s your physical appearance: Ensure that you wear clothes which are comfortable – not too loose, not too tight – and professional though not too informal. Make sure that your outfit suits the job. And, there’s the basics of hygiene and cleanliness that have to be gone over before your interview – including making sure your hair is neat and breath is fresh before you walk into the boardroom or office for the interview. Then, there’s your outward appearance – largely influenced by how you feel. If you’re feeling exceptionally nervous about the interview, it’s likely that you will also appear just as nervous. This is to be expected with most interviews and thus employers tend to look over general nerves, but if it’s so bad that it’s getting in the way of being able to answer interview questions, you might want to take a moment to breathe before your interview and calm your nerves down first. In extreme nervous cases, you can consult a doctor to prescribe a beta-blocker to control side-effects of being nervous such as excessive sweating, shaking and heart-palpitations: And yes, for most people it is completely safe – it’s been a trade secret for musicians with perpetual stage fright for years. There have been enough studies to show that hypnosis and therapy could also be highly beneficial when it comes to reducing performance anxiety or stage fright when you are going into a situation that stresses you out. Cold calling is better defined as contacting a business without them having opted for you to contact them beforehand. It’s a tactic often employed in business, and very often in professions like writing – where publications are queried by a writer who has an idea that they think might work. You can apply the same technique, often with great success, when you’re searching for a job. 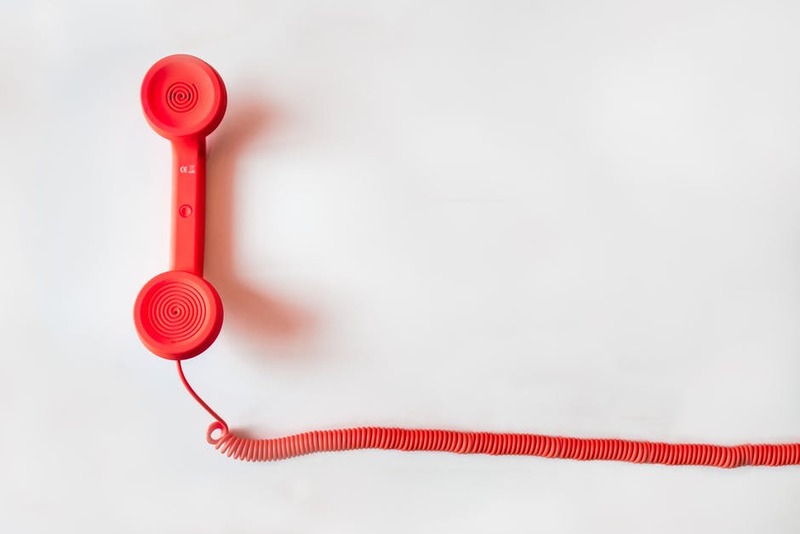 Cold calling means contacting a business and asking them if they have any vacancies in your chosen position: Attach your resume to the e-mail, and tell them when you will be officially available if they have a position to consider. You won’t get responses from all the businesses you query, but you will likely eventually get a positive response if you religiously keep at it. Cold calling takes a lot of time and a lot of patience – and you have to have a thick skin since you will likely have to deal with plenty of negative responses – but sometimes it can find you exactly what you’re looking for if you have the necessary persistence to make it through. Cold calling is, of course, not limited to e-mail: You can also call the Human Relations department of a business or company and find out if they have any vacancies directly. This is quick and concise, and you should have an answer in less than ten minutes from the right department. If they have no vacancies, you can simply move on to the next company on your list and hope for the best. Remember to keep a close eye on your phone manner when dealing with a potential new HR department: They could be your colleagues if you end up hired for a job at the company! Always speak clearly and loudly, always keep phone conversations friendly, professional and short. You’ll also want to make sure that your connection can be heard clearly on the other end: There’s nothing worse than trying to communicate with someone for business and constantly having to ask them to repeat themselves. When you’re looking for a job, part of the magic that leads to your success is being able to sell yourself to a potential employer. It’s an art on its own to be able to convince them that you are the right person for the job and that they should hire you instead of any of the other potential applicants for the job. One skill that can and should be used to great effect when setting up your resume or dealing directly with a potential employer is to focus on your strengths instead of your weaknesses. Just what is it that you’re good at? What can you offer the company that nobody else can in terms of the way you conduct yourself, the skills you can offer them and the experience you have built up in the previous years or decades of your career? Focus on your strengths instead of getting stuck on your weaknesses: Focusing on what you’re bad at gives you a knock to your self confidence, and faced with a potential employer, you want to be full of self confidence – not lacking instead. What, then, you might ask do I do with what I consider to be my weaknesses? These can only be improved upon – instead of focusing on them, work on making them better so that they can be turned into strengths over time. You don’t have to pay a lot of money to do this: There are plenty of courses available online for free that all focus on personal self-improvement – and some of them you can even list on your resume and impress your potential future employer. Another way of selling yourself to your potential employer in the search for a new job is through your cover letter. This is the introductory letter that’s attached to your resume or CV that tells your employer more about you. Ideally, the best cover letters are short – most people are able to describe themselves, their experience and their skills in 500 words or under. A little more is okay, a little less is okay, but once you hit a 1, 000 word cover letter you can assume that you’ve said too much! A good cover letter is properly formatted – that means no bells and whistles, colors, borders or Comic Sans! Anything else that makes your cover letter hard to read will just make an employer skim over it or skip it entirely. A great cover letter doesn’t drone on for four pages – it says what it needs to in professional and concise language, and then thanks your potential employer for their time. It tells your employer what you could mean to their business and why it should be you in charge of the vacant position. Nothing more, nothing less: The rest should be kept for your attached resume. When it comes to the language included in your cover letter, you should make use of positive language that re-enforces your strengths, not your weaknesses. Always be professional, always be friendly – and always remember that your cover letter exists to sell yourself to your potential employer. Further tips for setting up a professional cover letter is hiring a professional cover letter writer to do so – or at least to edit what you’ve already written. This takes the pressure of having to worry it yourself, and you know that professional writers are already clued up with the lingo you’ll need – and the language your potential employer will want to see. Before applying for a job, you should do your research on the job vacancy to ensure that the job is for real. We’ll tell you more about spotting scams in the job market later on. For now, let’s just stick to company research. Start off by taking a closer look at their official website: Who are they and what do they do? How is the language and tone of the content on their official website? Their website represents them and the people who work for them, so before you apply for the job, make sure that they fit with your ideals. This should tell you whether you would be comfortable working for this company in the long run. You can also research your company by popping by in person – and a potential employer might very well appreciate the effort that it takes to hand in your resume in person. This gives you a chance to view the company dynamic, meet some of the people who already work for them and see how things function on a day to day. Again, ask yourself if this is somewhere you would feel comfortable working – if the answer to this question happens to be yes, then you know you’ve found the right place. Another way to get the scoop on a company or business is to ask previous employees how their experience with the company was: It’s a quick, excellent way to get an unbiased opinion on how a company functions and treats their employees. If you don’t want to go around and find someone who worked for the company, you can usually type the company into your nearest search engine and read company reviews by the public instead – many times, if you take the time to browse through them, you’ll find comments by past employees. There are plenty of scams in the job market, and we strongly advise you to keep your eyes open or risk getting caught in a trap yourself. 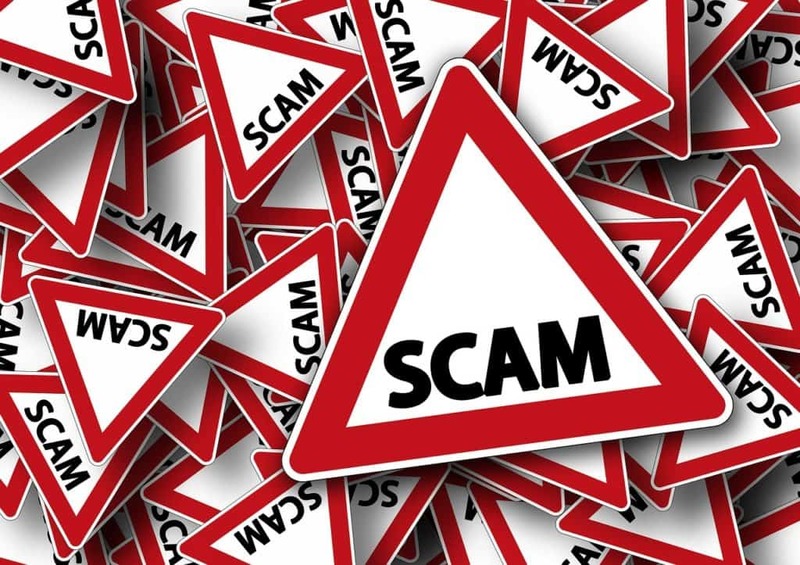 In the olden days of the beginnings of the internet, scams were fairly obvious – but the same is no longer for today. Scammers have gotten much smarter in the way they present their noose, and consumers have to adapt to it and inform themselves. When you spot a potential job offer you would like to apply for, first do your company research and make sure that the job vacancy is, in fact, for real – a simple search through their official website or a quick phone cal to the HR department should be enough to find this out. Never share extremely personal information like your credit card details or home address over the phone or internet – not even to someone who seems legit at first; at least, not until you’ve confirmed the details! The same is true for your social security information and anything personal. Put most simply, avoiding scams in the job market is down to checking out the details first – if it’s legit, you should proceed. If you’re in doubt, pass! Many people don’t think of this as a factor at all, but it’s vitally important to remember the role of your social media profiles when it comes to looking for a job. It’s standard practice these days for an employer to look up any potential employees on social media websites like Facebook or Twitter: If you want to avoid them forming opinions on you based on your social media profiles, keep things clean – or at the very least set your privacy settings so that only you and those you grant permission can see the most intimate of personal things that you post online. Social media can have a disastrous effect when you’re trying to find a job: We could mention any number of thousands of job scandals that have taken place the world over all because someone made a post on their social media profiles without thinking and been disciplined or fired for it – or simply passed on when their employer saw their social media profile. You don’t want to be that guy: Again, your best option is to make sure your social media profiles are set to private – but for extra security, you might want to separate your personal profile from the one your colleagues might have access to entirely if you plan on connecting with anyone you work with online. This is one case where it’s most definitely better to be safe now rather than sorry later on! Interviewing yourself seems like a very odd concept at first, but both career and psychology experts agree that it helps to boost your self-confidence and help you to prepare for the moment where you have to deal with the actual interview. For this exercise, you can either do it by yourself or get someone to stand-in as your potential employer for the interview. Remember to think about the kinds of questions you will be asked for this interview and prepare yourself as much as possible by running through them with your answers. Run through all of these questions at your leisure: Take a breather, and do it again. Think about several answers and which would work best – but always ensure that you answer honestly. Employers never like lying on resume’s or in person, and it’s so much more embarrassing if you get caught. Just be honest right from the start. Yes, this is something employers will appreciate most of all. You could benefit from hiring a professional to set up your resume: For a consultation fee, they’ll make sure that your resume is updated, shining and practical and written in the language that a potential employer wants to hear. This is worth paying good money for, as the first step to scoring the right job is a professional-looking CV – and when most people are forced to set one up themselves they have no idea where to start! If you have to set your resume up yourself, the first thing that you have to remember is to keep it professional: That means that you can include a plain border at the very most and nothing more. Yes, no Comic Sans, no colorful fonts, no frills, no mess, nothing that distracts from the words on the written page that will be read by your next potential employer. 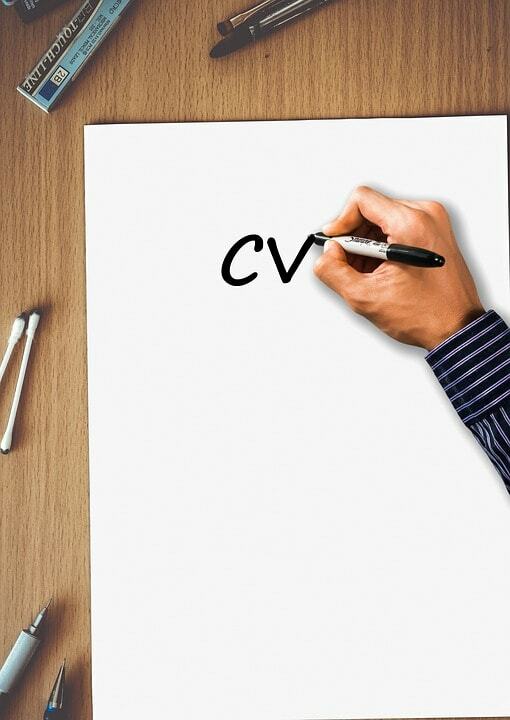 The first page of your resume should ideally contain “Resume Of” with your full name and contact details – some people choose to include a photo of themselves here, especially if the position they are applying for is related to public appearances or media, like models or TV personalities. Most people, however, can exclude this part when writing their resume. The next part of your resume covers your experiences at school – include information like your GED here, and keep this part of the resume exceptionally brief: Most of the time, for this section of your resume an employer will only want to know whether or not you achieved a GED, at which institution and which year – anything more than that is almost certainly overdoing it. Then comes the section of your resume labeled Further Education – and it’s pretty self-explanatory what goes here. List them in descending order, from the most recent to the longest time ago – remember that people read and scan from top to bottom, and an employer will want to see the most recent information first. (The more time you can save your potential employer, the more you can make for their company – and if an employer can already see you making the effort in your resume, they will be more likely to consider you for the job.) Remember to list the year and the institution – and, of course, what you studied there. Next, and this is the important part, you should list the previous positions you held at various companies – list them from most recent to oldest. (Again, employers are going to read your resume from top to bottom and will want to see the most recent information first – it’s just easier.) Remember to include the year and company name, as well as a brief list of the responsibilities held during your time at that company. You want to keep this comprehensive and updated. If your resume happens to have any large gaps in it for several months or years, for example due to unemployment or illness, make sure you note this in your resume with a brief reason for why: Employers tend to question long, odd gaps in resumes. The information you can omit on your resume generally includes special skills that have no bearing on your life now – like being the hot dog eating champion of Kentucky – and skills that don’t directly impact the job you are applying for now. What you can include is special skills and training that are useful to the job: One example and one that many people look for nowadays in various types of careers is how apt someone is across various computer platforms, including Linux, Windows and Mac. You should also include reliable and contactable references in your resume – at best, these are usually previous employers which your new employer can contact to find out more information about what kind of employee you were during the time you worked there. Usually, it’s a bad idea to choose friends or family members as references as they tend to be biased when it comes to their opinion – and yes, employers do know that! Lastly, include appendices of your certificates and qualifications at the end, if any: This isn’t necessary, but is often much easier than leaving it out just to have someone ask you to send it through to HR later on. Okay, so let’s assume that you’ve made it through the processes we’ve already described and submitted your resume, been to job interview or two and received a few call-backs afterwards. Sometimes would-be job seekers find themselves faced with several options when they get more than one call back. You don’t have to take the first job that calls you back, and when you’re faced with several potential call-backs, your job search has started to pay off – and you now have a choice to make between job offers. Deciding factors in your search for a job might include the distance traveled to and from work, if the commute to work and distance to your house is important to you; other factors that might make one job more attractive than another also include your salary – which of the jobs you have been offered comes with the best salary and benefits? You might also simply feel more comfortable with one job environment than another – and that’s perfectly fine. Send your resume in PDF format (also known as Portable Document Format): This ensures that the file remains read-only, and that the person on the other end can open and print the resume easily. 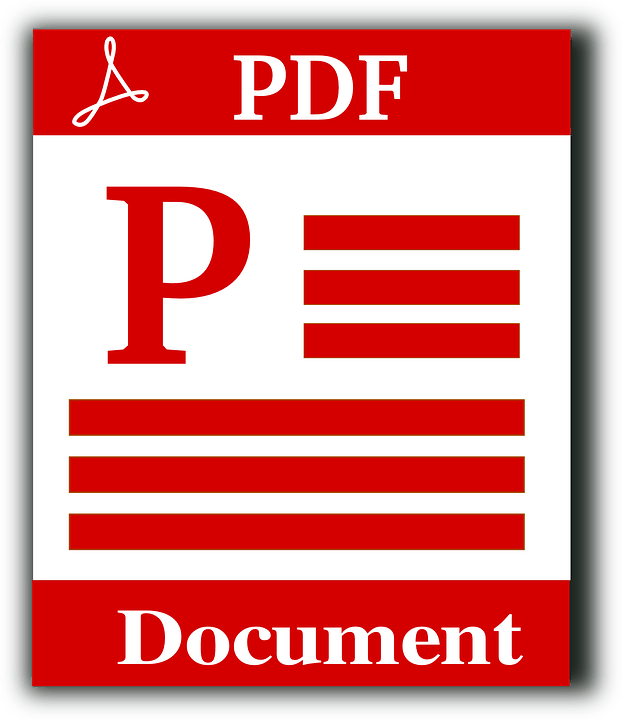 Most computers have a program that can open PDF’s, and the same is no longer true for files written in Word ‘97: If you want to avoid resume formatting issues, it’s best to stick to one format. You might want to include your certificates and qualifications in a separate file, and your cover letter in a separate file. Pick a fond that’s easy to read. The most popular options are Times New Roman, Arial and Calibri – anything else is far too distracting to the eye and makes the resume hard to read. That alone is enough to make most employers toss a resume into the slush pile: After all, if you can’t get the little details right, it’s highly unlikely that you will be trusted with a big corporation’s books! Also make sure that you pick a font size that’s easy to read – pt. 16 to pt 20 for headers (and in bold), and set everything else to pt. 12. Anything smaller than that will prove to be too hard to read – anything more than that is just downright annoying. Human Resources has seen almost everything – and you don’t want to be that weird resume with the glitter and included bribe of a pack of brownies that they are still laughing about in twenty years. Be concise and be professional if you want to make your resume noticeable. There is no need (or usually want) for unnecessary flair. Always be honest in the way you conduct yourself: Both in person and on your resume. 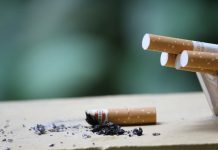 Not doing so puts you at an extreme risk of an employer discovering this later on – often when it’s way too late – and it could put not just your job but your entire career in jeopardy. It’s vitally important to note that this extends to both outright lying and stretching the truth, as people sometimes tend to do when trying to make themselves look good when they’re setting up their resume. Don’t. When it comes to your job description, it’s best to stick to the official job description you occupied instead of trying to break it up into things that seem more impressive, but aren’t. For example, you can say that you did “admin”, “filing” and “adiminstration” – or you can just call it what it is, and stick to saying that you did admin. The same message is conveyed – but much more concisely and quickly, and you don’t have to worry about there being any stretching of the truth for your employer or you to worry about later. Honestly really is the best policy – and it goes a long way. So, just where do you go to find a job? This question seems tends to baffle the hell out of people who are currently looking for work and coming up empty. There are a few suggestions: First, start by going to company websites and looking for their “Jobs” or “Hiring” page – here is where most companies post vacancies. They also tend to post job vacancies on career-seeking websites next, including sites like Jobrapido and Indeed.com – so keep an eye on those. You might even have some success on traditional classified’s websites such as Craigslist, though always employ a healthy amount of caution when you’re dealing with someone directly. Job sites such as these also often allow you to post your resume online; This has the added benefit of employers being able to check out resume’s who suit their needs, and you might find yourself being contacted by a potential new employer before you know it! Old fashioned bulletin boards also still exist, and you might want to check out your local paper and grocery store for advertisements posted in the paper or on the board: Often local vacancies for jobs at smaller companies are advertised this way first. If you’re starting to get seriously desperate in your quest to find a job, you could also use these channels to post a “job wanted” ad – give it some time and see who responds. You can also employ cold calling to find potential vacancies, which we’ve already discussed at length. Similarly, to add a search result you can add a “+” to your search term, or usually “*” to represent a wild-card – or unknown search term. 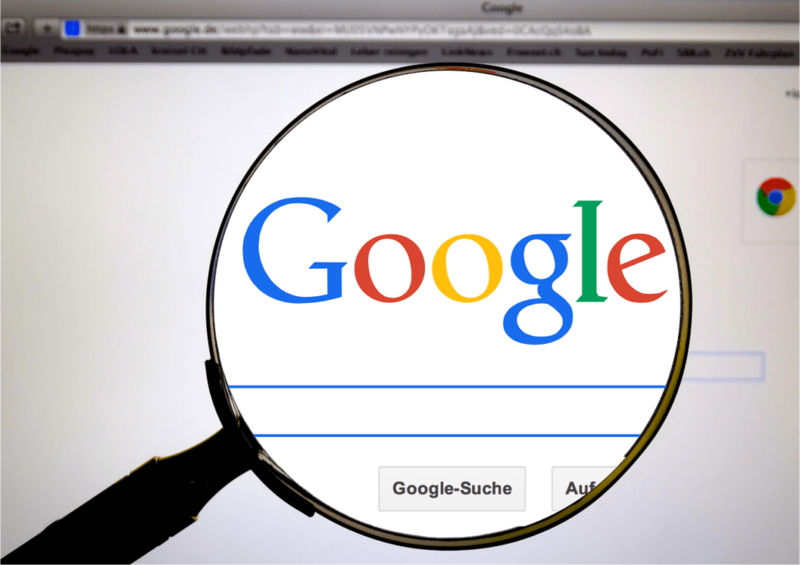 To search content from a specific website, all you have to do is add “site:” followed by the URL of your chosen website – this can be great for searching for content and keywords within a website when there’s a lot of information to go through and you just need to find a small piece of information. Use your search engine correctly and you’re in the clear. Often times, you have to keep things moving while you’re looking for work – this means still paying the same bills, still working out a budget for the weeks or months ahead and still somehow managing to live off your savings – or earn money – during your job search. These other jobs, held while looking for other, more permanent work, can be considered to be stepping stones. No, it’ not the job you want, but it’s something you might have to do for a period of two, thee or four months if you’re still in the process of submitting your resume.